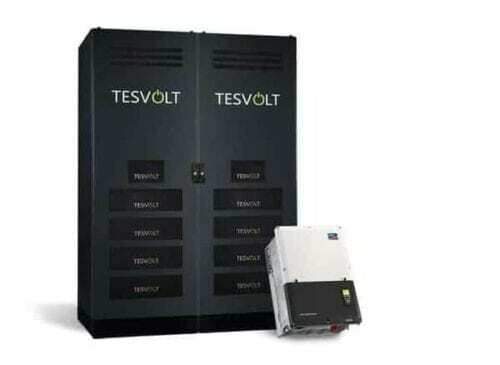 The TESVOLT TS 350 HV High Voltage 336kWh Battery Storage with SMA is not only built for efficiency. The battery storage is also one of the most advanced and powerful storage systems on the market. All the components of Tesvolt storage systems are built to last 30 years and 8,000 cycles, thereby guaranteeing excellent cost efficiency. Thanks to high-quality battery cells from the automotive industry and innovative technologies, such as the Active Battery Optimizer, the TS HV 70 storage system is one of the safest and most efficient products on the market. 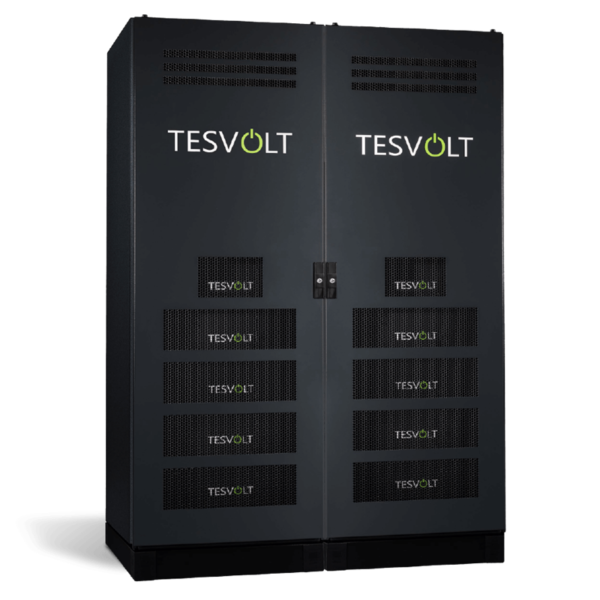 The TESVOLT TS 350 HV High Voltage battery storage can store energy very quickly. The discharge of the stored electricity is released extremely fast. With a discharge rate of 1C – and even 4C for short periods – the storage system is optimized for professional use in commercial applications, agriculture and industry. 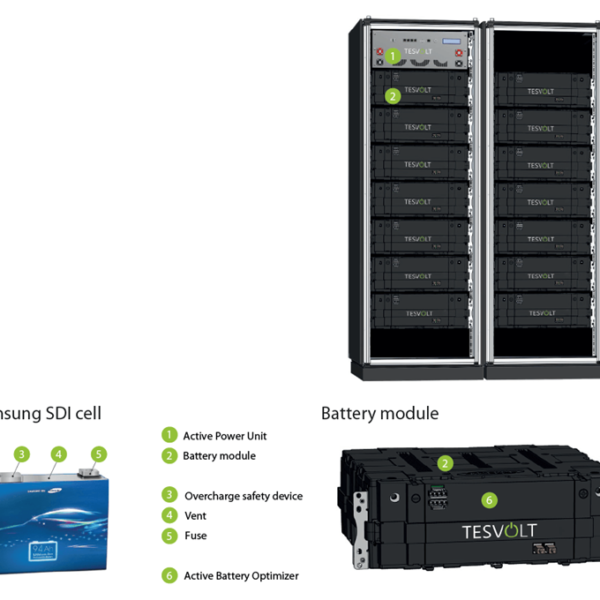 The TESVOLT TS 350 HV Battery Storage with SMA is optimized for particularly demanding operations in commercial enterprises with storage requirements in excess of 30 kilowatt-hours. The investment costs for the system and the price per kWh stored remain low thanks to the system’s particularly high cost-efficiency. 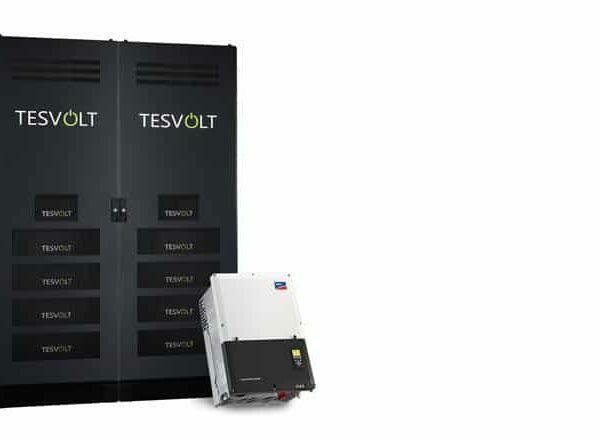 TESVOLT TS HV 350 storage systems are optimized for use with 3-phase SMA Tripower Storage 60 battery inverters and tailored to the requirements of industry and commerce, paving the way for storage solutions in the megawatt range. 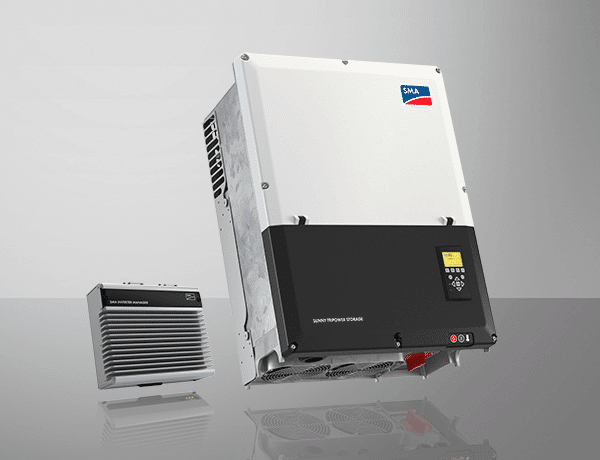 Thanks to the energy management system integrated in the battery inverter and the TS HV 70’s high C-rate, a wide range of grid system services can be provided. This system opens up new economic opportunities for industry and commerce.